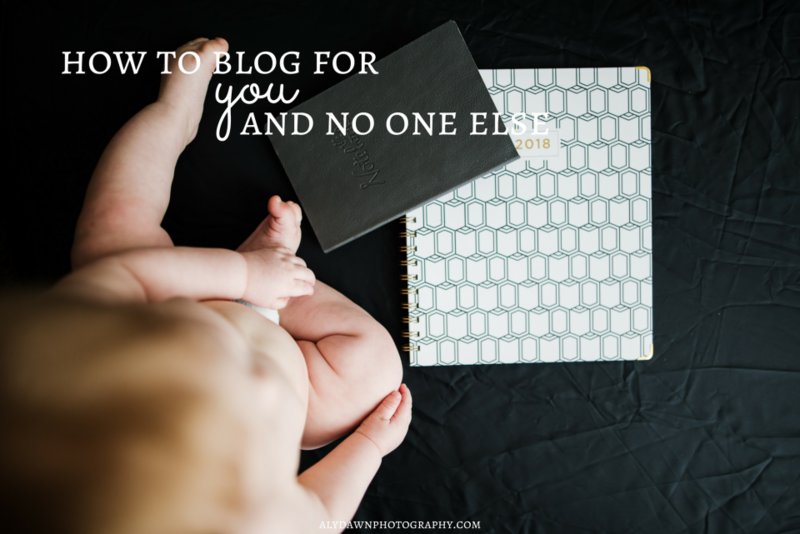 There are many reasons why you would want to blog for you or no one else. I came to a realization lately, that I was trying to be someone I wasn’t. I was trying to blog for people that probably didn’t care. I wasn’t blogging for me. And in turn, that wasn’t making me happy! Blogging was a chore. Now, I love blogging. But I had to find my why. Why do I blog? If you don’t blog for the right reasons, blogging will be very hard. You need to decide your ‘why’. I’ve had to do this recently. My blog used to be a place where I didn’t like what I was producing. And that’s all because I didn’t have a solid why. I was doing it because everyone else was doing it, it helps with SEO, and I heard it could make money. I sat down and really thought about my ‘why’. My why is I genuinely love helping beginner photographers and I love blogging. But first and most important, I love photography and showing others how I achieve something. I love learning new techniques and I love sharing what I’ve discovered. Figure out your why. Your blog might be based on something different, like food, fitness, style, etc. Why do you take pictures? Why do you love food? Why do you love to be healthy? Why do you blog? Focus on what your blog is about. Write down your why. Let it drive your blog posts. Let it drive your blog. 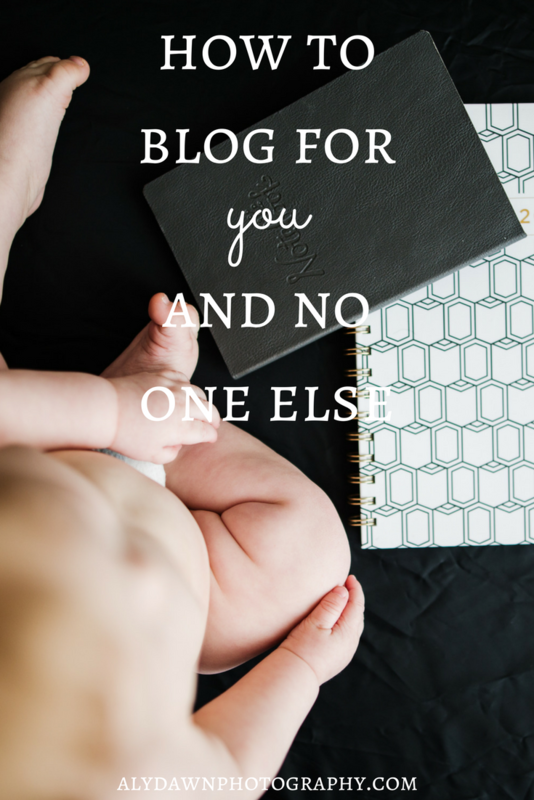 There are, of course, a lot of reasons to blog for you and no one else. If you aren’t happy blogging, why do it? For the money? I think blogging will only make you real money if you truly love blogging and what you’re blogging about. Don’t blog for the money. Blog for you, and the money will come. My three ways on how to blog for you and no one else is below, keep reading or just simply look at the headlines to get the general idea. My husband surprisingly made me realize this. I had a blog post in mind and I thought, “Oh now I have to go take pictures to match this blog post”. The pictures I was producing weren’t my style. They didn’t speak to me. But they fit the blog post. Which is great…sometimes. Sometimes you might have to do this. But don’t always do this. Blog about your experience. Blog about how you do something. Don’t try to fit in. Try to be unique. Who wants to go to a blog that looks just like all the rest? I know I don’t. This was a hard realization to realize. Write a blog post based on your experiences. To go along with point number one, you should be writing what inspires you. Did you just try a new recipe that you want to share with your fans? Write about that! Did you just figure out an awesome new exercise? Write about that! Did you just learn a new photography technique? Share your experience and how you achieved your end result. If you aren’t inspired by the content you are writing, do you really expect your audience to be inspired? I didn’t think so. Very important. Don’t blog for the money. Don’t blog because everyone else is doing it. Don’t blog because you think it will help get your name out there. Blog because you love it. Do it for you, I really can’t stress it enough. I’ve had to realize this and it has helped me become inspired again. It has helped me want to blog again. I blog because I love it. I love blogging and I love sharing what I’ve learned. I want to help other photographers. Don’t forget the reason you started blogging. Feeling a little lost about what to blog about? Try reading my 100 Photography Blog Post Ideas post. It’s packed full of wonderful blog post ideas. You can even cater some to whatever genre of blogging you do. Have a question about photography? I’d love to hear about them in the comments below! Are you a fellow blogger? Comment below! I love to connect. Thanks for reading.